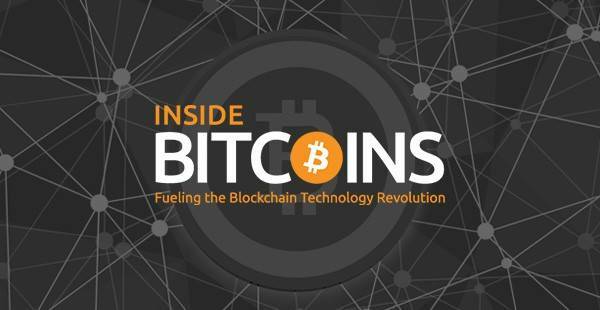 Key Points Bitcoin cash price recovered recently, but it struggled to break the $1,500 resistance against the US Dollar. There was a break below a short-term contracting triangle pattern with support at $1,450 on the hourly chart of the BCH/USD pair (data feed from Kraken). The pair may decline a few points towards the $1,400 and $1,380 support levels. Bitcoin cash price is struggling to gain momentum above $1,500 against the US Dollar. BCH/USD could decline once again if buyers lose control in the short term. There was a decent recovery over the weekend as bitcoin cash price moved above the $1,450 resistance against the US Dollar. However, the price struggled to break the $1,500 resistance, which was also a support earlier. Moreover, the 100 hourly simple moving average, which is currently at $1,490 also acted as a major hurdle for buyers. The price is currently moving down and it broke the 23.6% Fib retracement level of the last wave from the $1,266 low to $1,505 high. During the decline, there was a break below a short-term contracting triangle pattern with support at $1,450 on the hourly chart of the BCH/USD pair. It seems like the $1,500 barrier acted as a crucial resistance and prevented declines. It may decline further and trade towards the 50% Fib retracement level of the last wave from the $1,266 low to $1,505 high. Therefore, the next major support is around the $1,400 and $1,380 levels. Looking at the chart, the price is currently under a minor bearish pressure below $1,480 and the 100 hourly SMA. If buyers succeed in gaining momentum above $1,500 and 100 hourly SMA, there could be more gains. The next resistance in the mentioned case could be $1,620. 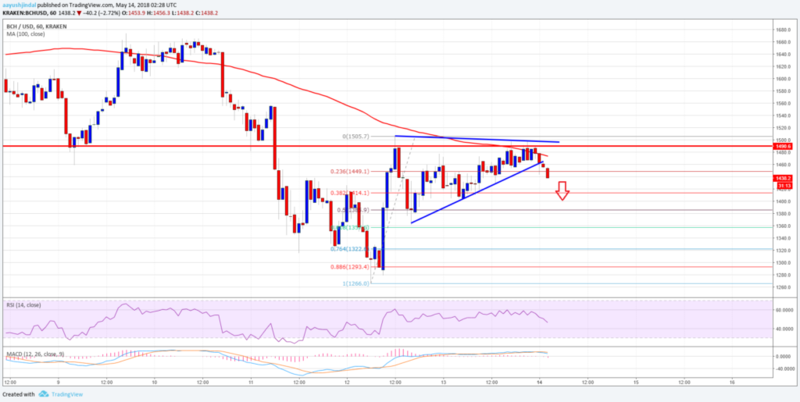 The post Bitcoin Cash Price Technical Analysis – BCH/USD Struggling Near $1,500 appeared first on NewsBTC.